Power Strip Adapters! 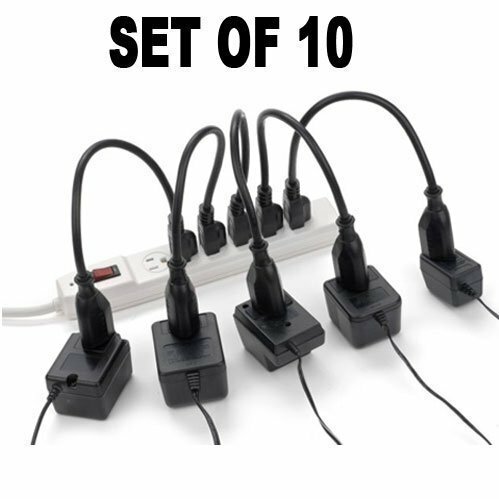 Set Of 10 Today's electronics are tying up outlets and power strips alike where all the plugs won't seem to fit. Our Power Strip Adaptorsfree up the plugs that big, bulky transformers would cover. Each UL approved 3-prong plug and cord is 14 1/2 long and moves the transformer away from the outlets- keeps all of the family's phones, music players and laptop charged and working. Features: Set Of 5. 3 Prong Plugs. Cord Is 14 1/2 Long. UL Approved. Color: Black. Organize and remain clutter Free! If you have any questions about this product by B.W. Inc., contact us by completing and submitting the form below. If you are looking for a specif part number, please include it with your message.